Six in ten (61%) of adults in South Wales who feel lonely fear something will happen to them and no one will notice, and a third of adults there (34%) have no one to turn to about loneliness. That’s according to new research released by the British Red Cross. Rebecca Murphy, 47, of Llanelli, is one of the people to have benefitted from the Red Cross’ services in Wales, having become lonely and isolated following a period of ill-health, unemployment and bereavement. At the age of 42, the former teaching assistant was diagnosed with epilepsy which caused her to have repeated seizures and affected her confidence to leave her home. Further health problems, redundancy at work and the loss of her father meant that Rebecca became so isolated that she didn’t go outside her house for a year. 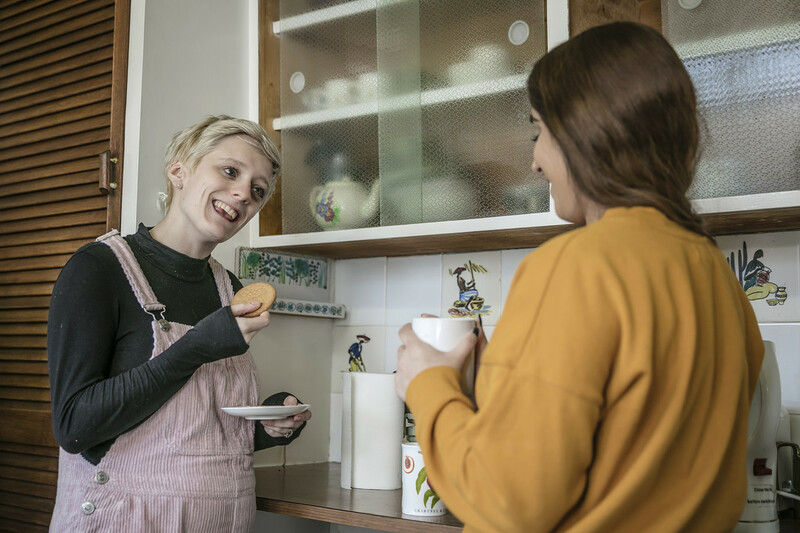 Earlier this year, Rebecca was referred to the Red Cross’ Co-op-funded Connecting Communities service, where she linked up with Community Connector Rob Lewis. Rob provided 12 weeks of support and now Rebecca has a circle of new friends. She said: “Rob started introducing me to things and to people who were very similar to me, people who had lost confidence. I started to make new friends, going to art classes and yoga and started meeting up with a young woman who I go for walks with. “Things are totally different now and, even though I still have the seizures occasionally and have the odd bad day or tired day, I don’t beat myself up because I know I’ve got things to look forward to. The recent Red Cross survey also found that of those in South Wales who felt lonely. Rob Lewis, community connector at the British Red Cross said: “Loneliness and social isolation doesn’t discriminate. Life circumstances can change in the blink of an eye, meaning it can happen to anyone, no matter your age or background.